An impact wrench is a tool used to make tightening and loosening tough bolts or nuts easier and more efficient. They reduce the effort and exertion of a user while delivering high torque output in a way that won’t damage bolts or nuts. An impact wrench can produce a much higher amount of force than a person can with their hands, without the need for additional leverage. This makes them ideal for hard to reach places or stubborn bolts. 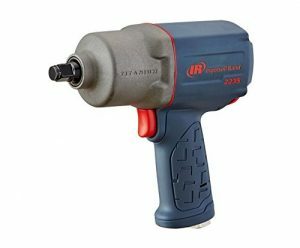 Impact wrenches can be found in a variety of settings from auto shops to large construction projects and may sometimes be called air wrenches (as many of them are pneumatically powered), torque guns, or impactors. 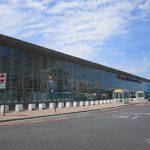 In addition to pneumatic power, they may also be powered via a direct electrical connection or a rechargeable battery. 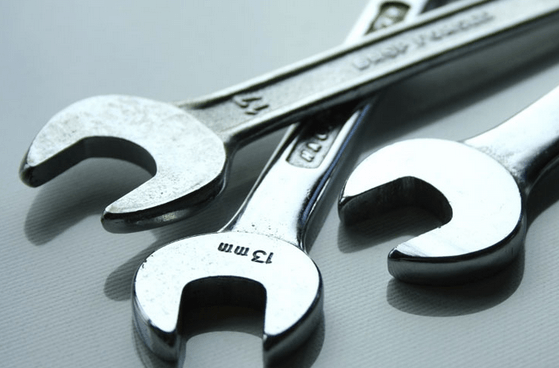 We have reviewed the top 5 best impact wrenches on the market now, and we weighed all of the important factors to consider before you decide to purchase on for yourself. We start our review with Kawasaki 841337 1/2-Inch Impact 12-Volt Wrench Kit. This tool is not made for continuous use, but it can be used for emergency purposes. When you are in the middle of a roadside emergency, you can just plug it into a 12V DC socket using the power cord that is 11 foot long. 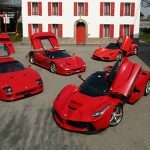 It also utilizes a 190 fee-pound of maximum torque, which makes it powerful enough for emergency usage. It comes with a pair of two-sided sockets with an 11/16, 3/4, 13/16 and 7/8? 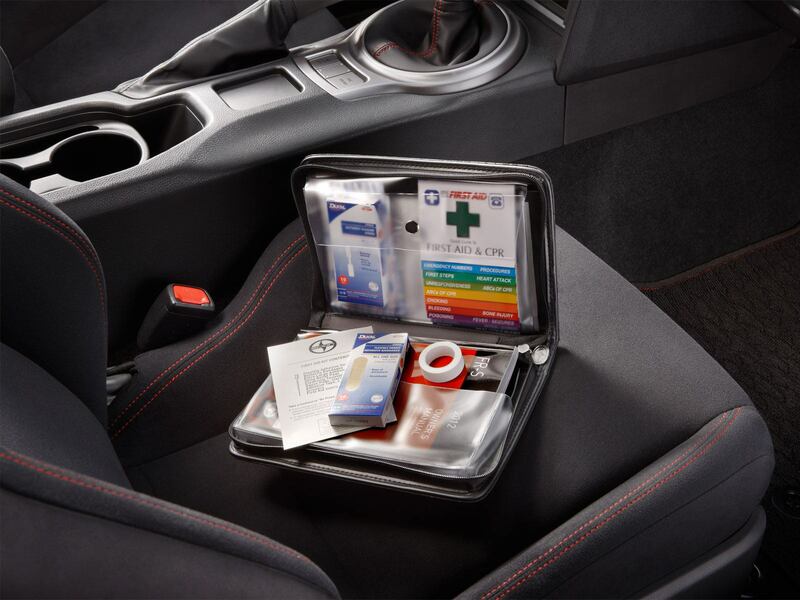 ends and it also comes with a storage box for better storage and organization in your vehicle. Moreover, there is also a pair of double-end impact sockets and a pair of 10A safety fuses. With this electric impact wrench, you can loosen and tighten vehicle lug nuts quickly and easily. In addition to all these benefits, when your car has a flat tire, you do not have to rush and find a mechanic when you have all the tools that are necessary to change it yourself. 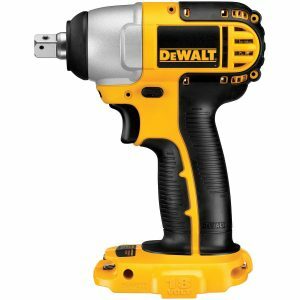 Offering first-rate performance and durability along with exceptional ergonomics, the DEWALT DC820B 18-volt, 1/2-inch cordless impact wrench is an ideal for driving fat lag screws or loosening large, corroded nuts. The 1/2-inch-drive, variable-speed impact wrench delivers both rotation (0-2,400 RPM) and concussive blows (0-2,700 BPM) directly to the fastener for an impressive 1,740 inch-pounds of turning force. Dependable, the DC820B includes a frameless motor with replaceable brushes – a money-saving design that also simplifies maintenance. It also features an all-metal transmission to ensure a long life. Weighing in at just 2.2 pounds and measuring just 5-3/4 inches, this compact tool can get into tight spaces other models can’t access when performing a range of applications. In addition, it offers an anti-slip grip that sits well in your hand for sustained on-the-job comfort. This DEWALT tool is backed by three-year limited warranty covering any defects due to faulty materials or workmanship. 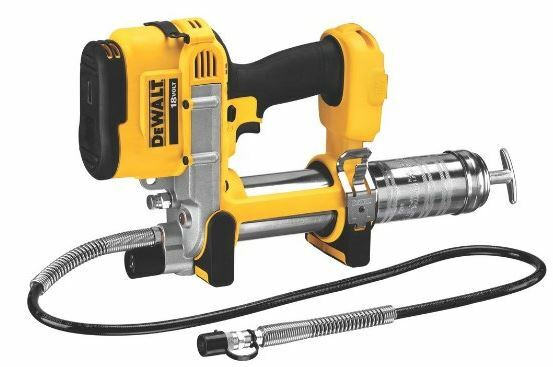 It’s also covered by DEWALT’s one-year free service contract, where DEWALT will maintain the tool and replace worn parts caused by normal use – for free. The M18 FUEL 1/2″ High Torque Impact Wrench with Friction Ring Kit features the most powerful cordless wrench in its class, delivering up to 700 ft-lbs of maximum fastening torque, 1,100 ft-lbs of nut-busting torque and up to 2X more runtime. 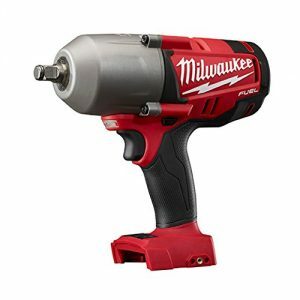 The POWERSTATE Brushless Motor outperforms competitors with constant power output, and the Milwaukee designed impact mechanism delivers up to 700 ft-lbs of maximum fastening torque. The REDLITHIUM XC5.0 Extended Capacity Battery Pack delivers more work per charge and more work over pack life than any other battery. 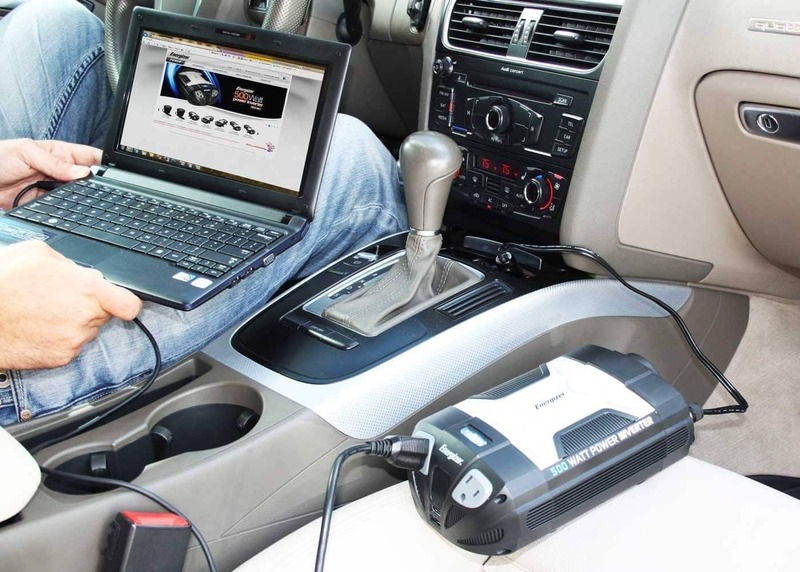 It features an onboard fuel gauge to help you monitor the charge more accurately, so there’s less downtime on the job. REDLINK PLUS Intelligence allows the operator to choose between 2 fastening modes with Milwaukee’s proprietary DRIVE CONTROL feature and ensures maximum performance and protection from overload, overheating and over-discharge. This 18-volt lithium-ion FUEL High-Torque Impact Wrench offers quick, tool-free socket changes with a 1/2″ friction ring anvil. You’ll get ultimate comfort during extended use with the new contoured soft grip. The AirCat 1150 is the top ranked tool in its class for both performance and quiet operation, making it an impressive air impact wrench. Professionals will tell you that it performs as well or better than similar guns which sell for much higher prices. 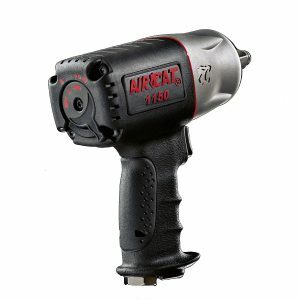 If you need the AirCat for working on engines or older vehicles, you will like the torque this gun can generate, with a moderately slow hammer speed that is intended to remove bolts rather than break them. It is much quieter than most of the impact wrenches, generating only about 86db at maximum pressure. An AirCat 1150 can even be rebuilt by the user, which will reduce your costs over time compared to tools which have to go back to the factory. This tool is truly worth all the money you spend. We guarantee you will be satisfied with this well-constructed and durable impact wrench. Ingersoll Rand 2235TiMAX is the best air impact wrench available for sale on the market. From air compressor systems to power tools and beyond, the Ingersoll Rand company manufactures products that offer best-in-class quality, reliability, durability, and performance. Designed to work with an air compressor, this powerful impact wrench delivers up to 1,350 foot-pounds of nut busting torque in a lightweight design that helps minimize fatigue. The four-position power regulator and one-handed forward/reverse button give you complete control, so you can easily fine-tune torque output and direction to suit the task at hand. With its rugged housing and titanium hammer case, this impact wrench is designed to withstand rigorous, harsh usage. Weighing just 4.6 pounds, the 2235TiMAX Air Impact Wrench offers the best power-to-weight ratio in its class. If you are in need of high-end impact wrench that can deliver performance and comfortable usability, then you are sure to get benefited out of this tool at your desired price. 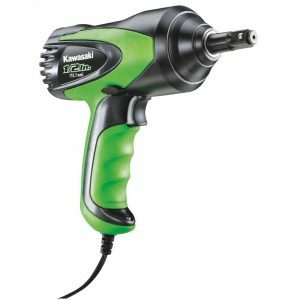 When you are stuck with a bolt that is both hard to remove or hard to install, the easiest solution is to get your own electric impact wrench. This will allow you to save time and effort because you don’t need to work twice as hard in removing or installing large bolts because the accompanying motor builds up energy by using a rotating mass while pushing the mass towards the end of the tool. A good impact wrench is a great addition to any workshop, taking virtually all of the strain out of wheel changing. Modern battery and motor technology mean the best cordless electric wrenches are as good as their compressor-powered predecessors and are much more convenient because they have no hoses to contend with. If you are a kind of person who would like to handle small household works by yourself, then you should own an electric impact wrench. Electric impact wrenches serve the best purpose while they have the greatest range of torque speed producing capacity. When the speed of the torque reduced, the performance of electric impact wrench will be decreased. Hence, you must check the speed of torque of available best electric impact wrench before choosing the one that is engineered to meet your intended purposes in a possible way.